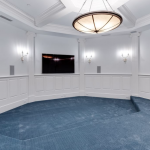 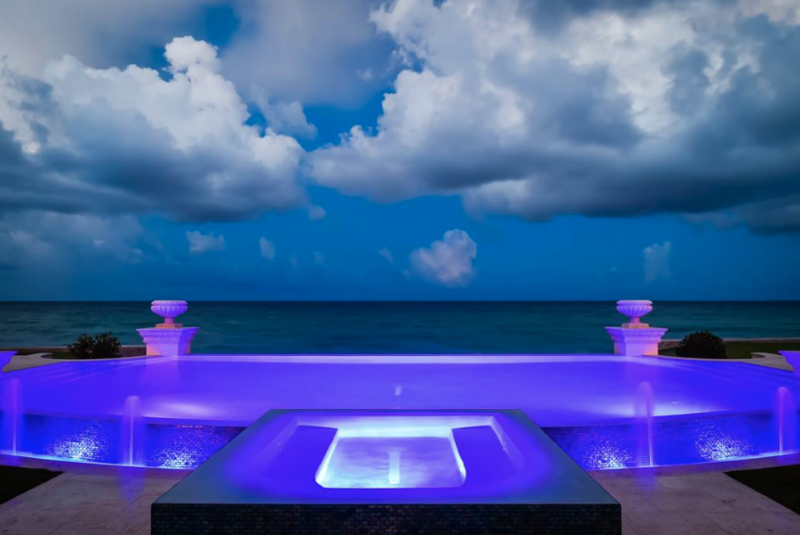 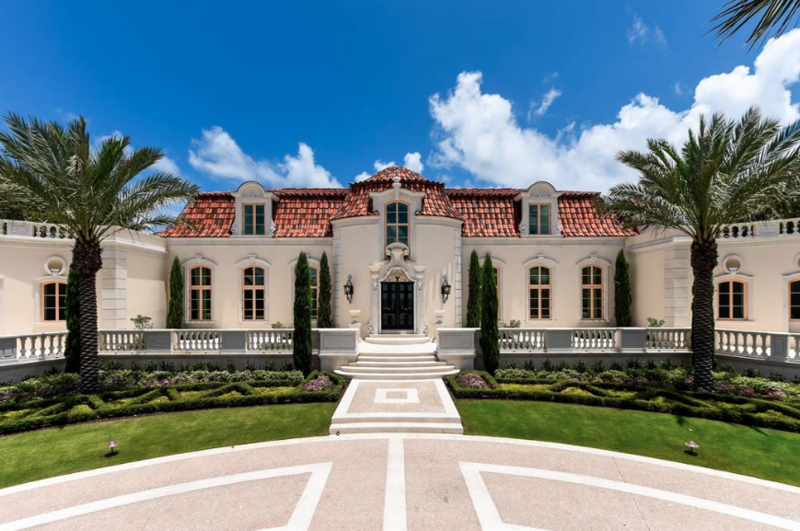 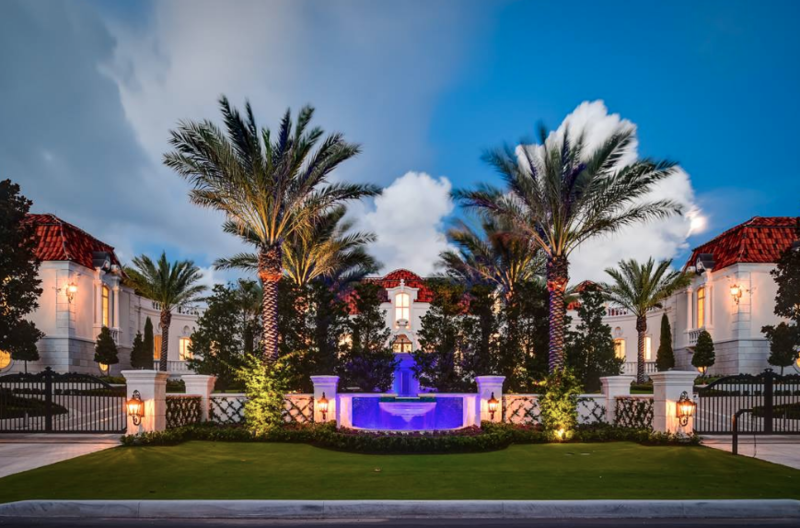 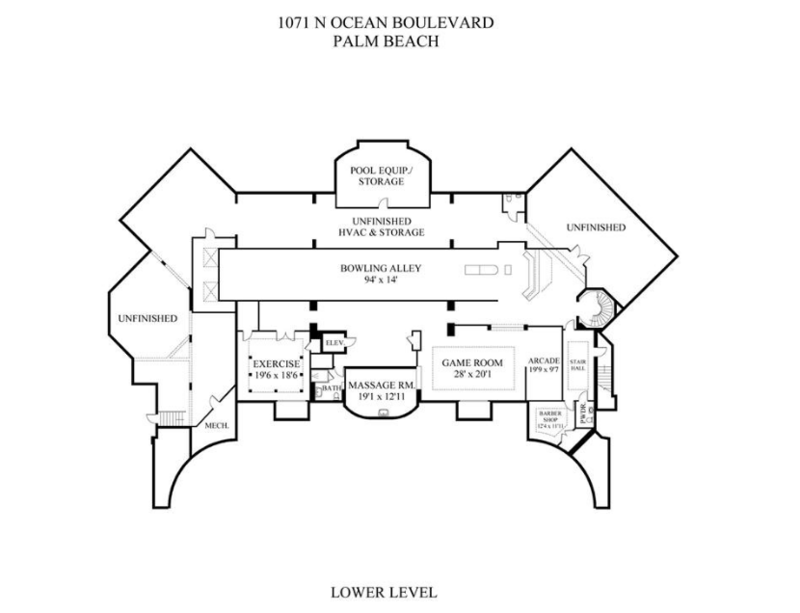 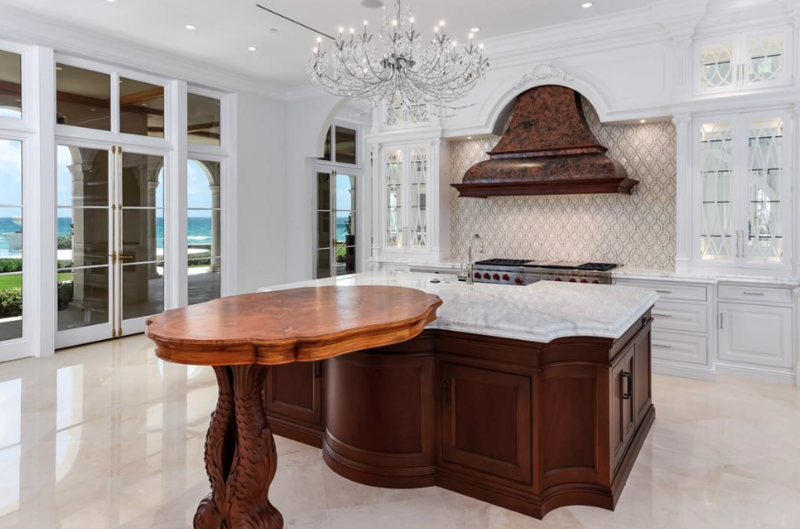 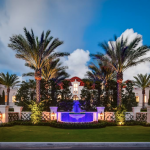 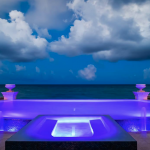 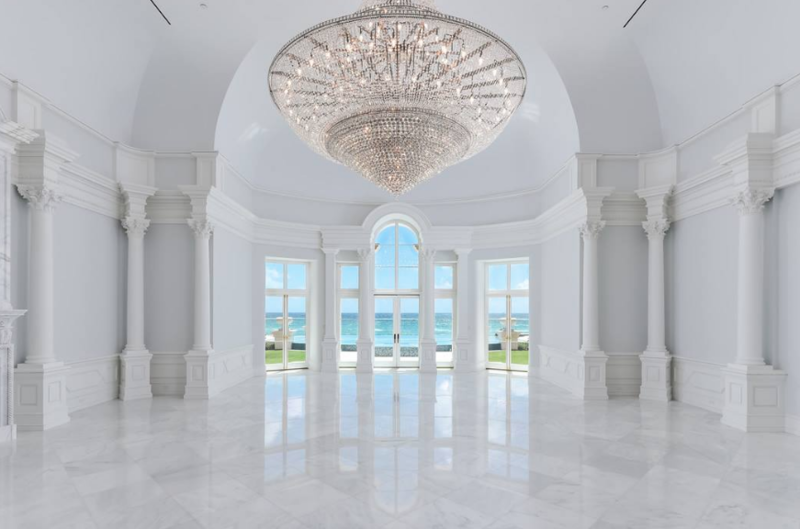 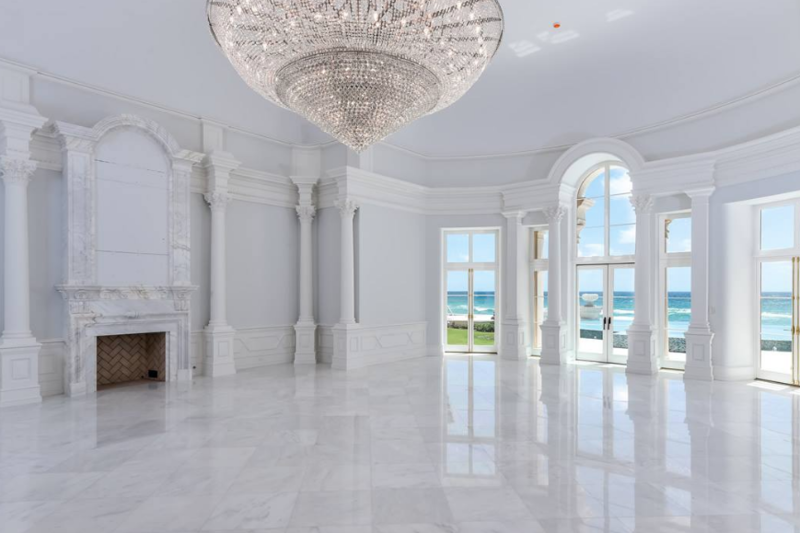 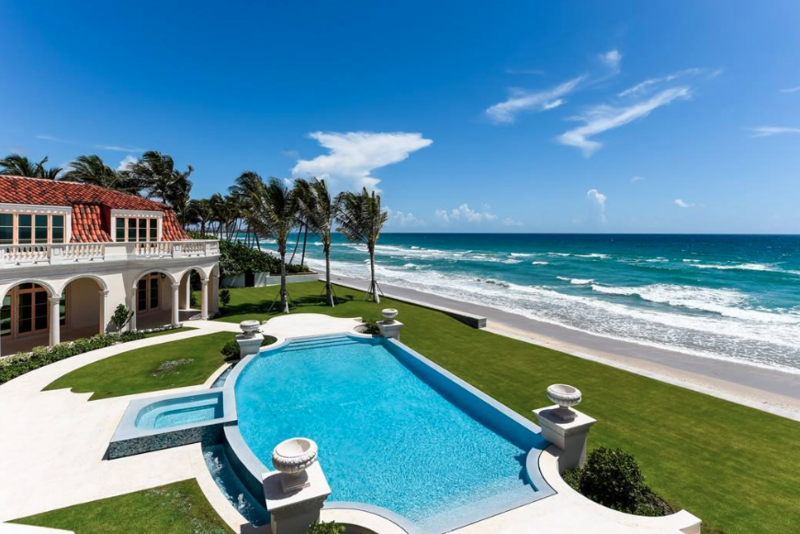 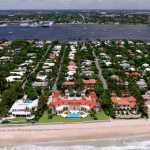 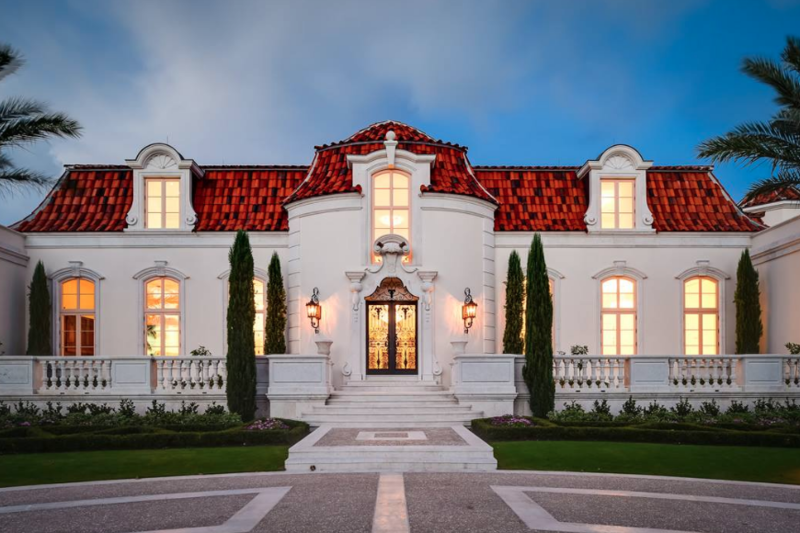 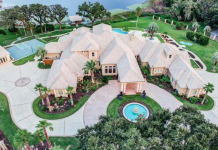 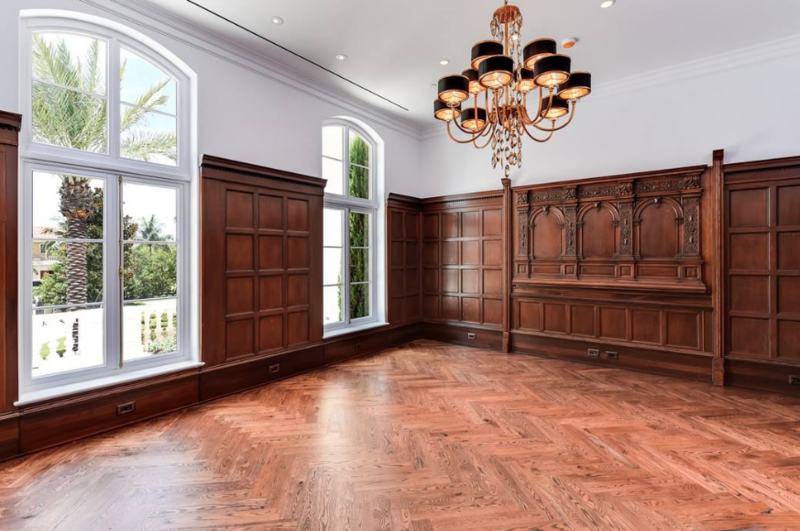 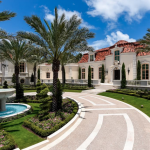 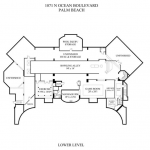 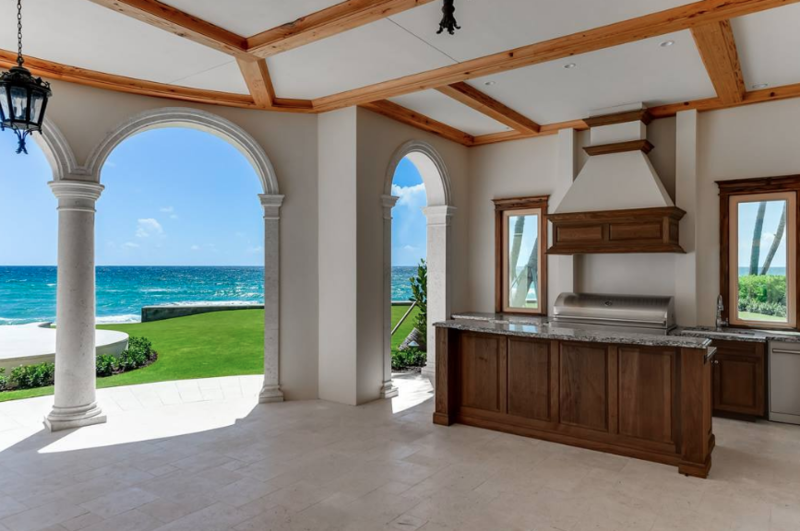 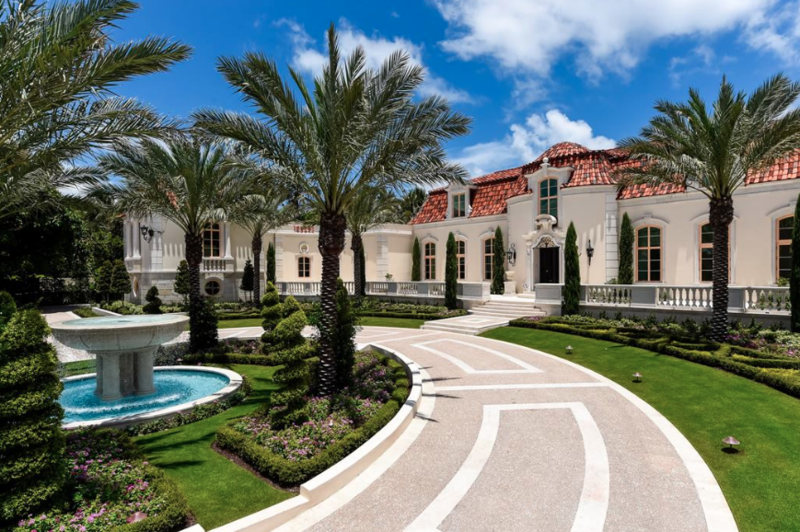 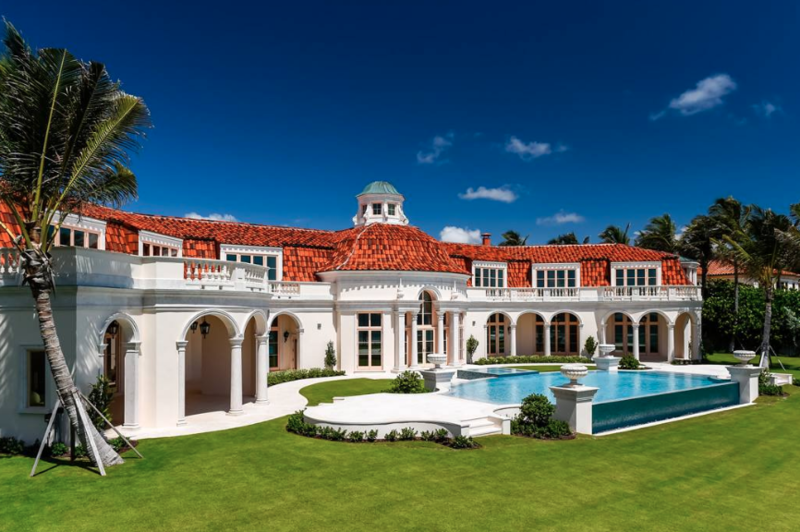 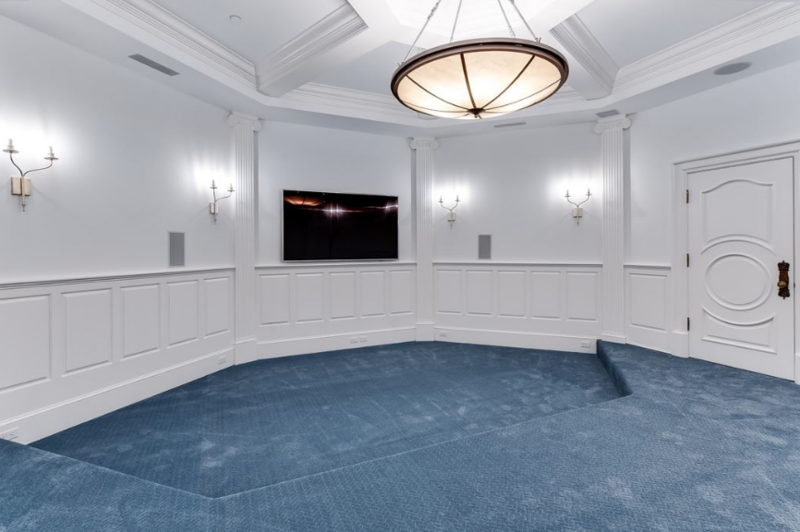 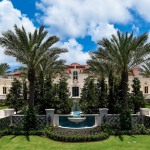 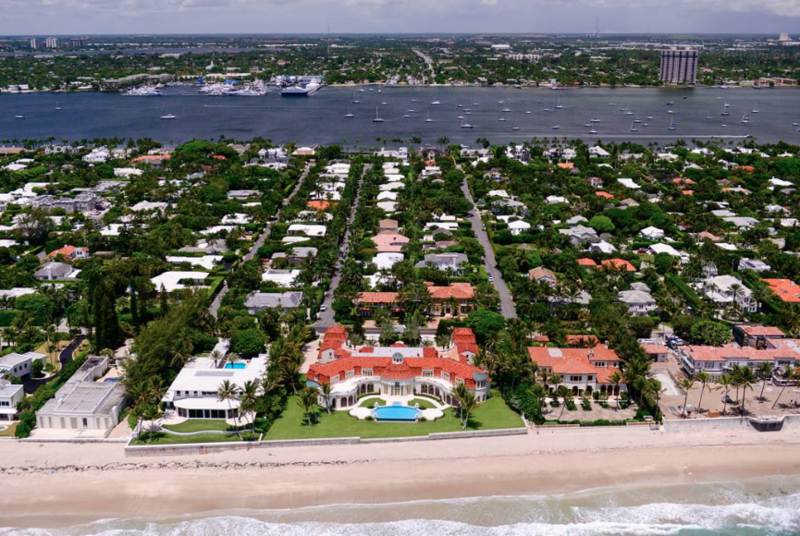 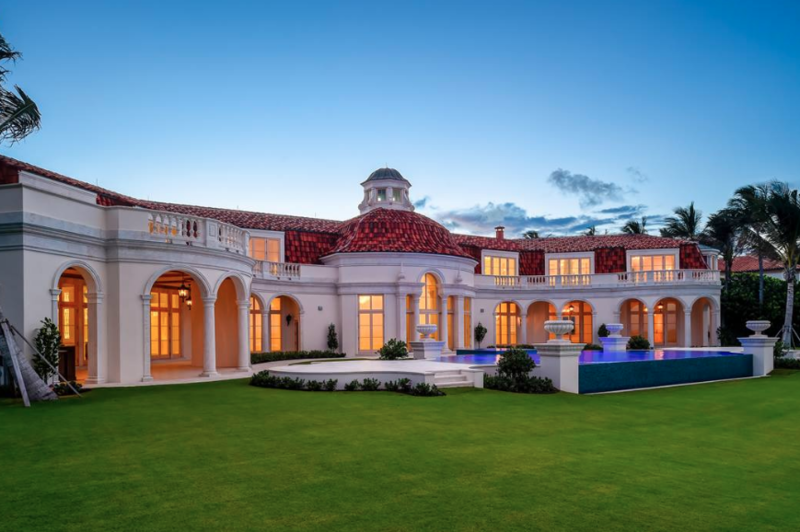 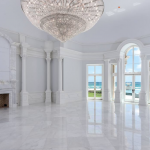 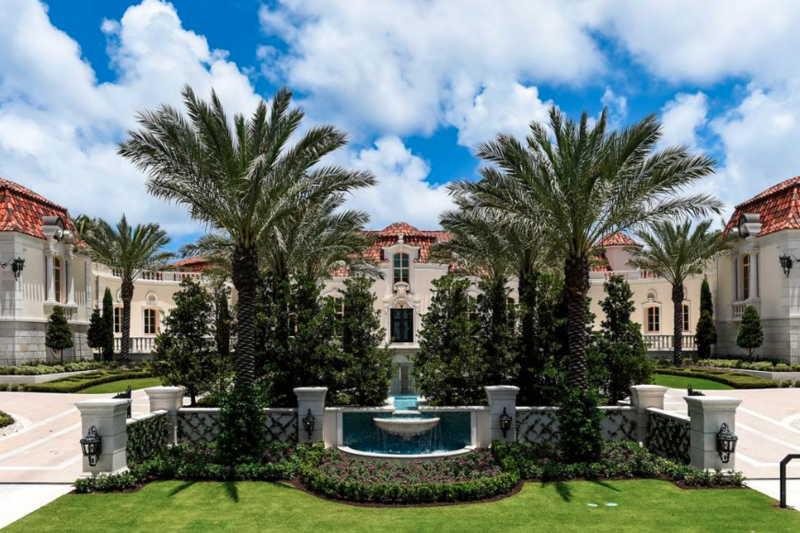 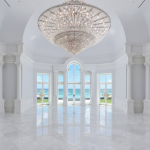 This newly built Mediterranean style oceanfront mega mansion is located at 1071 N Ocean Boulevard in Palm Beach, FL and boasts 240 feet of water frontage. 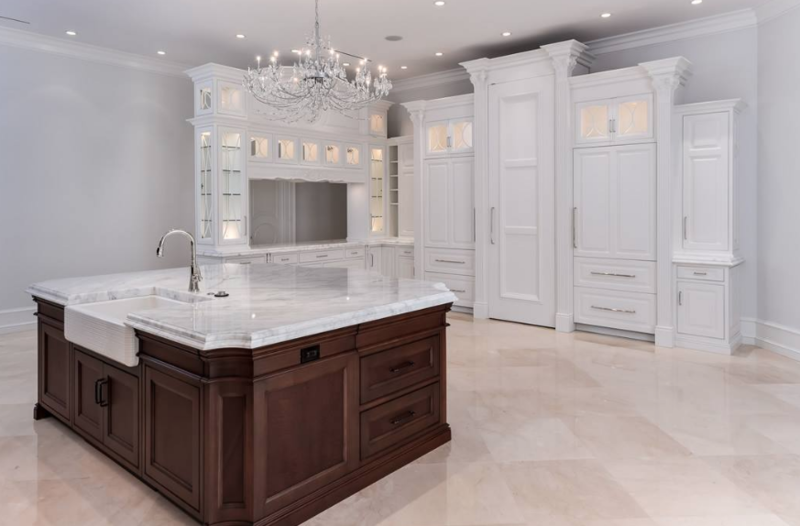 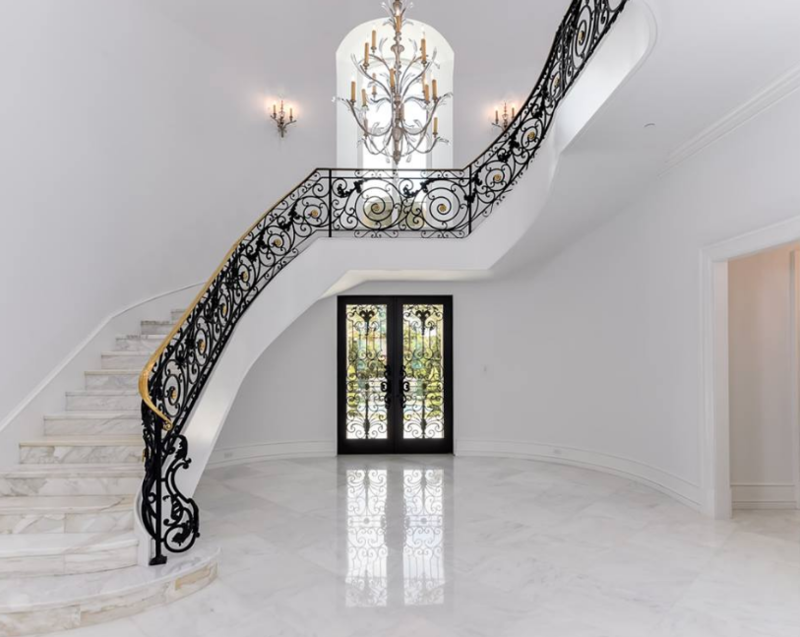 It is owned by Philadelphia attorney and entrepreneur Vahan Gureghian. 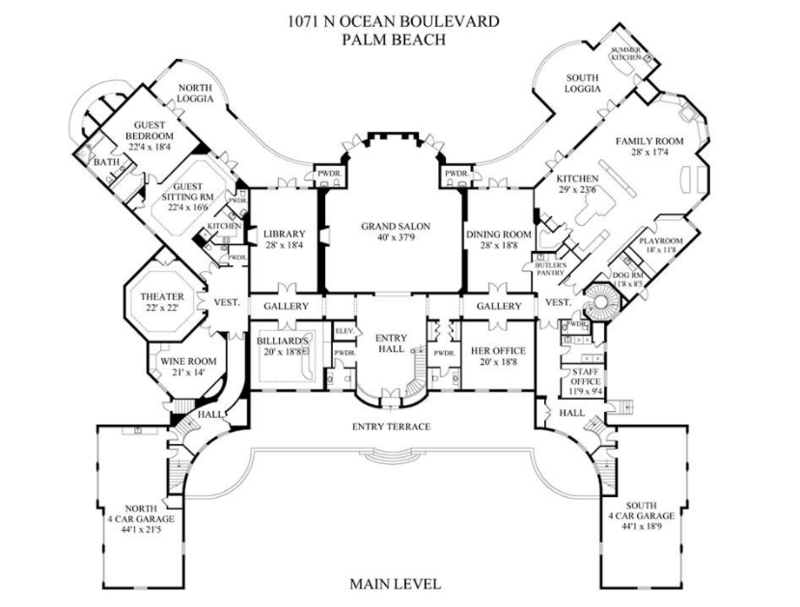 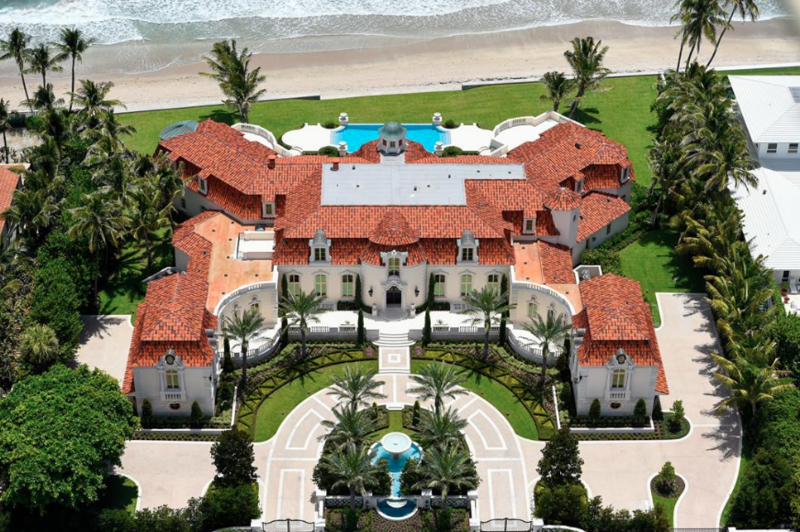 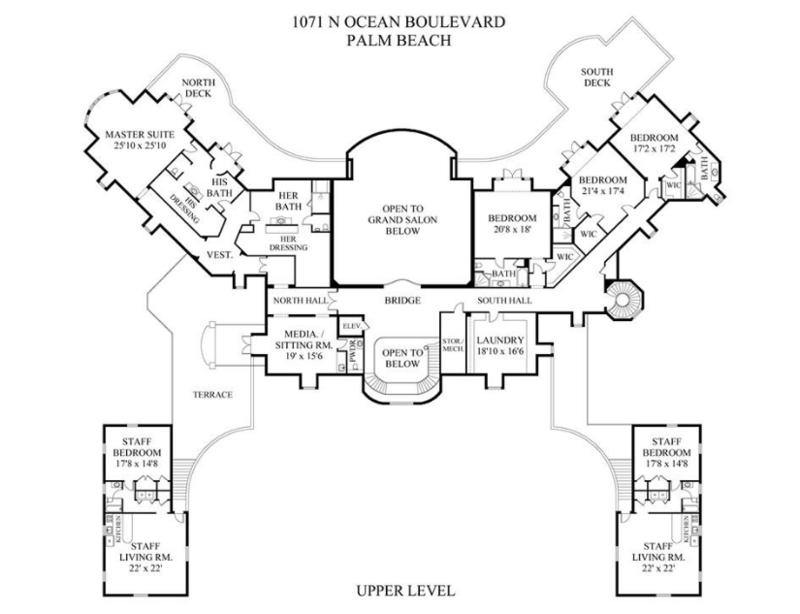 Vahan and his wife purchased the land for $28.9 million. 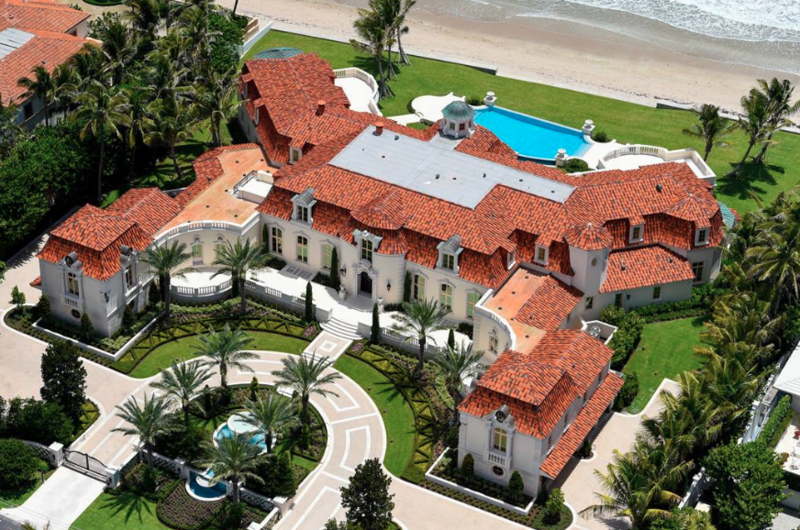 It is listed at $74,500,000.